The final code version of Ethereum might be released soon because the Ethereum’s github has new post published about the network’s evolving transition to Ethereum 2.0, also known as Serenity. Ethereum (ETH) has revealed its first pre-release for phase zero. The post stated that this "marks the first release in a series of weekly releases through February 2019. Phase 0 in v0.1 is relatively feature complete and approaching stable." Serenity is planned to be the system’s final upgrade, as the entire network transformation from a Proof-of-Work (PoW) into a Proof-of-Stake (PoS) consensus algorithm, and provides fundamental questions such as scalability, economic finality and security. Ethereum 2.0 is the last stage in the Ethereum platform’s roadmap. Serenity is the fourth stages after the Metropolis that consists of two system-wide hard forks— Byzantium and Constantinople. According to the ETH January 31 pre-Release, "Subsequent changes will occur on dev branch and only merged into master during a release accompanied by a changelog." - Minor adjustments to BLS (e.g. hash functions, generators, serialization) to conform to standards. Aside from PoS solutions planned for Ethereum 2.0, they include the sharding scalability feature — which split ups transaction processing between smaller groups of nodes to increase the blockchain's total throughput. And together with the Ethereum 2.0’s first pre-release, a new testnet — called 'Gorli' — it went live on February 1, 2019, and it will serve to trial a key sharding client for Serenity, known as Prysm. For all developers, a testnet provides a simulated version of the primary network that allows them to try out smart contracts or upgrades without having to pay “GAS” (computation fees) for their execution. Gorli is an open-source, community-built initiative that will reportedly be involved in synching other major Ethereum clients such as Geth, Parity, Pantheon, Nethermind, and EthereumJS. Meanwhile, the Constantinople upgrade was been re-scheduled because of the critical issue which is significant for the vulnerability in the Constantinople hard fork. The reentrancy attacks via the use of certain commands in ETH smart contracts was first detected by smart contract audit firm ChainSecurity. 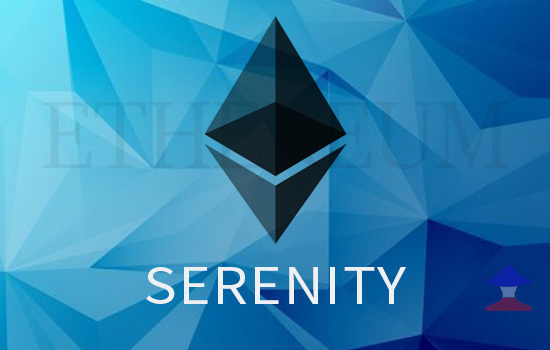 Comments or suggestions about "Ethereum 2.0 Serenity first pre-Release Revealed" is important to us, you may share it by using the comment box below.